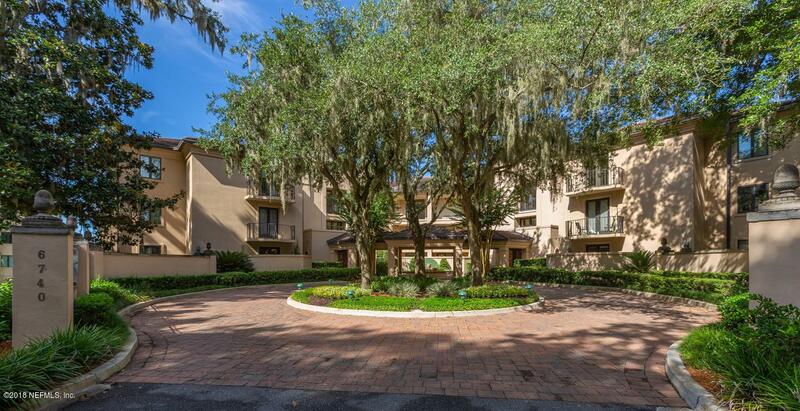 Enjoy Carefree Living at one of Jacksonville's most beautiful communities of Epping Forest.First floor end unit offers multiple living areas and fabulous river views. 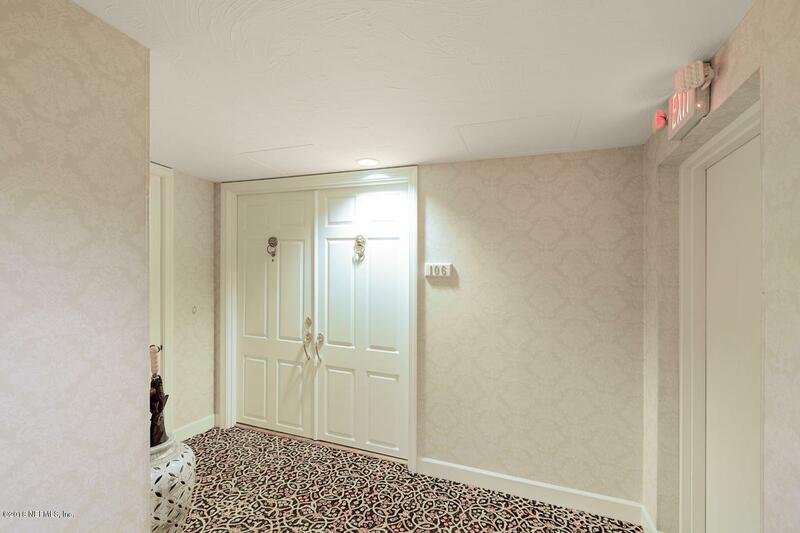 Walk through lobby door straight to unit w/o getting in an elevator. 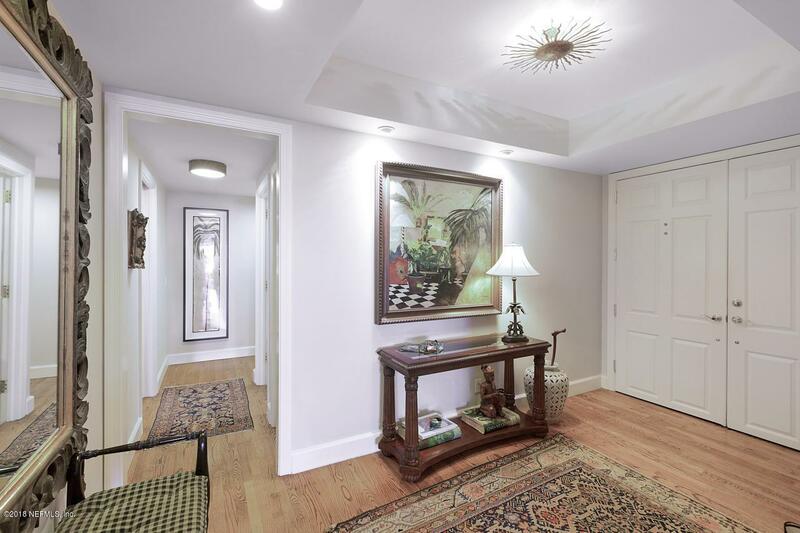 Split bedroom floorplan with hardwood floors throughout. Watch football games on TV while cooking in your kitchen or host cocktail parties in your living room. 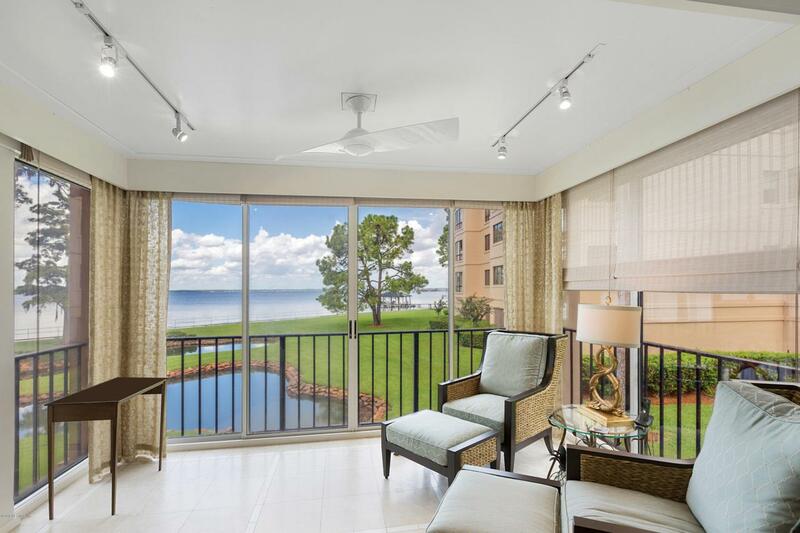 Relax in your sunroom and enjoy beautiful sunsets over the St. Johns River. Spacious Master Suite offers separate walk-in closets, his/her vanity,walk-in shower, and garden tub. Guest bedroom with private patio and bath. This unit includes two garage spaces and one storage space. Building reserves are very solid with NO pending assessments. Club membership to Epping Forest separate.